Ballywood was made to work hard but eventually landed the odds in Ludlow’s feature Bromfield Sand & Gravel Handicap Chase. Alan King decided to skip the Cheltenham Festival with the promising five-year-old due to the soft ground, and it paid paid off handsomely as he picked up almost £14,000. The top-weight, owned by Highclere Thoroughbred Racing, looked to have plenty to do turning into the straight as Tom George’s Valseur Du Granval had been given a bold sight in front by Paddy Brennan. He was slower than ideal at the final fence, though, and that gave Wayne Hutchinson all the encouragement he needed on the 4-5 favourite, who managed to scramble home by three-quarters of a length. King said: “I thought Cheltenham was too soft and while I was going to wait for Aintree or Ayr, this was too good a prize to miss. I was a little worried down the back straight and he will have learned a lot today. Dan Skelton enjoyed a good meeting at Cheltenham, celebrating his first ever Grade One win through Roksana and landing the County Hurdle for the third time in four years with Ch’tibello. His string remain in fine form as he burrows on towards 200 winners for the season and in Sofia’s Rock, easy winner of the Windsor Clive International Novices’ Hurdle, he looks to have a potentially notable recruit on his hands. Smart on the level for Mark Johnston, reaching a mark of 100, the 15-8 winner is now two from three over timber and Harry Skelton was able to stop riding halfway up the run-in such was his superiority. 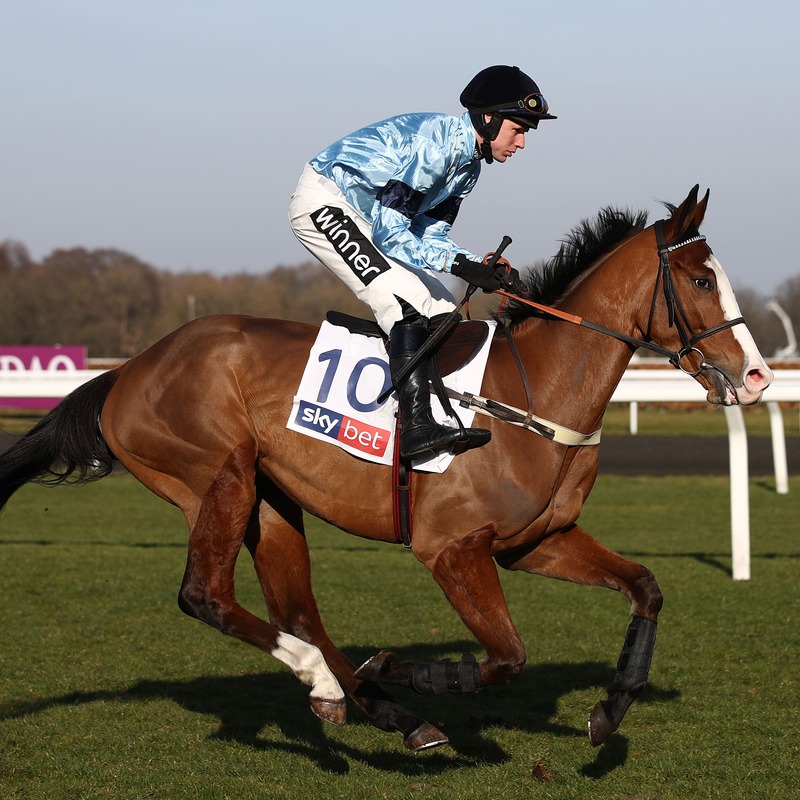 Owner David Maxwell is on course to be crowned leading amateur rider this season and extended his lead over Sam Waley-Cohen when another of his purchases from France, Jatiluwih (11-4) made a winning British debut in the Shropshire Homes Novices’ Hurdle. Jatiluwih is trained by Philip Hobbs, like the majority of Maxwell’s string, and Hobbs doubled up with Musical Slave (4-5 favourite) in the Ludlow Farm Shop Handicap Hurdle, ridden by Barry Geraghty. Hobbs himself was in London at the appeal of amateur jockey Declan Lavery, who was banned for 10 days his ride on Jerrysback at Cheltenham last week. The original decision was overturned. Midnight Chill (9-2) has been nothing if not consistent since being sent chasing by Jamie Snowden and won for the third time this season in the Alfa Aggregate Products Chase under Gavin Sheehan.